A display of materials from a donation by Dr. Richard Danzig ’65 are now on view. These publications relate to nineteenth and twentieth century India and contain demographic information, offer insights into constitutional reform and recount the deeds of Indian intellectuals that shaped India’s past, present, and future. 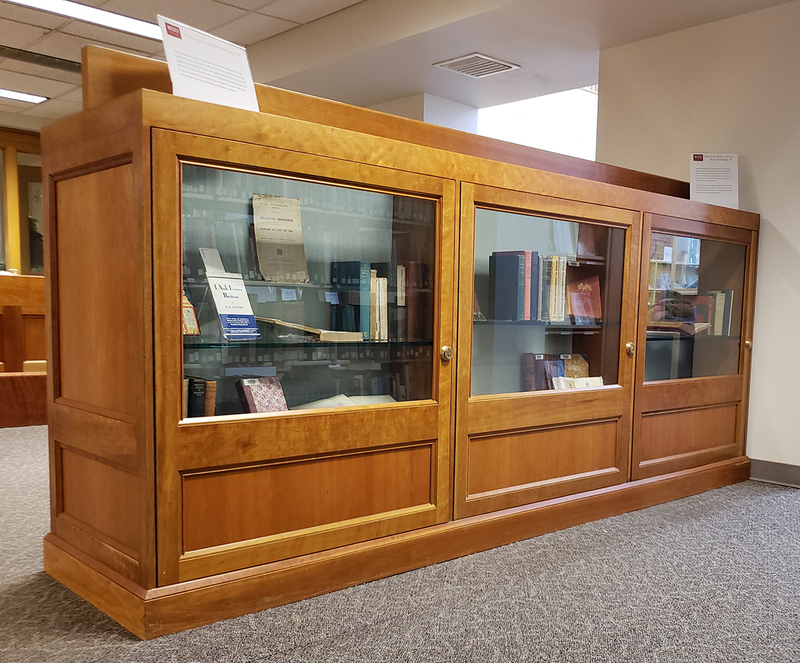 This display is located on the rear side of the Reference Desk bookshelf and will be on view until May 21, 2019. For more information or comments please contact sbavier@reed.edu. This summer ARTstor is preparing a major update to its Digital Library. Below are some key points of note. The following ARTstor features have been retired. The following ARTstor features have been temporarily removed but will reappear as the update progresses. For more details please visit ARTstor Support. Questions can be emailed to Sarah Bavier, Visual Resources Librarian.